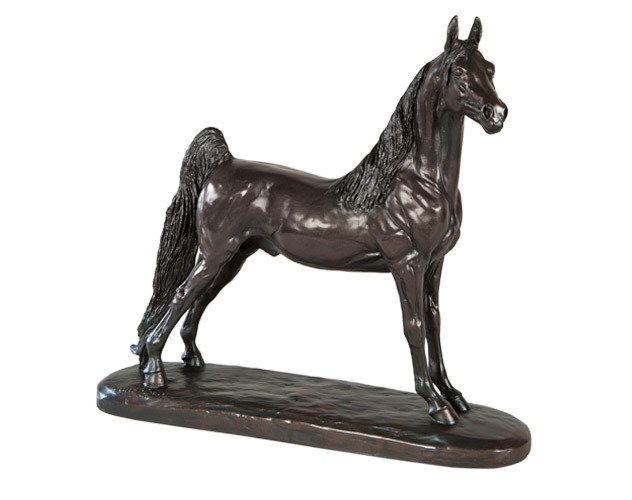 We are frequently updating our inventory with a wide selection of Saddlebred and equestrian merchandise. 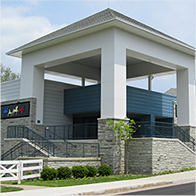 The American Saddlebred Museum relies upon the support of our donors to present exhibits and programs to the public. To keep apprised of all Museum events and activities, click the link below. LEXINGTON, KY—December 3, 2018—Save the date for Runway and Rescue on Friday, February 15th at 7:00 p.m.
ASB Museum Featured in PEOPLE! 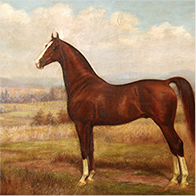 The American Saddlebred Museum’s Young Adult Committee is once again hosting an Art Contest! The American Saddlebred Museum announces its annual fundraiser during Lexington Junior League Charity Horse Show. 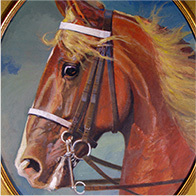 Don’t Miss the American Saddlebred Museum’s Red Mile Retrospective! 2018 Victory Pass Raffle Winner! Congratulations to Kathy Snyder of Ventura Farm for winning our 2018 Victory Pass Raffle! Are you coming to the Kentucky Spring Premier Horse Show? Join us for cocktails, hors d'oeuvres, and a first look at the Museum's renovation plans! Work for the ASB Museum! Download the 2017-2018 American Saddlebred Museum Gift Catalog here! The fifth annual Youth, Young Adult, and Adult Art Contest brought many wonderful entries to the Museum. The American Saddlebred Museum invites you to spend a day at the Museum! Legends of the Saddlebred World: The Lives & Times of Tom & Donna Moore will open on Friday, February 24, 2017. A weekend celebration of the Moore’s will kick off with a 6:00 p.m. reception at the American Saddlebred Museum. The American Saddlebred Museum is mounting a very special exhibit in 2017. Tammy DeVore WINS the Museum's sold out Lip Sync Battle during the World’s Championship Horse Show! The American Saddlebred Museum’s exhibit for 2016 opened to the public on April 1, 2016. The American Saddlebred Museum and Gift Shop announced today the selection of Jennifer K. Foster as its new Executive Director. Your support of the American Saddlebred Museum is greatly appreciated.